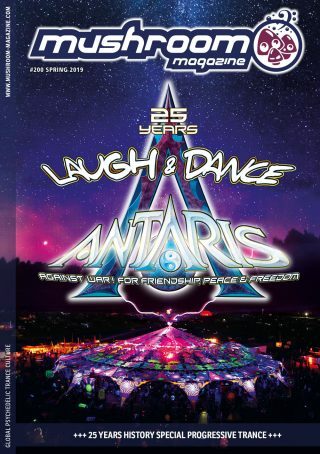 Die Teilnahme am Gewinnspiel von mushroom magazine und Hempedelic, betrieben von der FORMAT Promotion GmbH, nachfolgend Betreiber oder Veranstalter genannt, ist kostenlos und richtet sich ausschließlich nach diesen Teilnahmebedingungen. Die Dauer des Gewinnspiels wird jeweils innerhalb der Gewinnspielseite beschrieben. Innerhalb dieses Zeitraums erhalten Nutzer online die Möglichkeit, am Gewinnspiel teilzunehmen. Innerhalb des angegebenen Zeitraumes können die Preise ständig wechseln. Sollte die Dauer des Gewinnspielzeitraumes nicht ausdrücklich genannt sein, so behält sich der Veranstalter vor, das Gewinnspiel jederzeit zu beenden. Das Gewinnspiel kann auf mehrere einzelne Gewinnspiele aufgeteilt sein, deren Preise von unterschiedlichen Sponsoren stammen. Um an den Gewinnspielen auf dieser Website teilzunehmen, muss der Teilnehmer eingeloggt sein. Eine Teilnahme ohne Login ist gegebenfalls nicht möglich. Um am Gewinnspiel teilzunehmen, ist ein Ausfüllen und Absenden von Teilnahmeformularen notwendig. Die Teilnahme ist nur innerhalb des Teilnahmezeitraums möglich. Nach Teilnahmeschluss eingehende Einsendungen werden bei der Auslosung nicht berücksichtigt. Pro Teilnehmer nimmt nur eine übermittelte Anmeldung am jeweiligen Gewinnspiel teil. Es ist strengstens untersagt, mehrere Email-Adressen oder mehrere Facebook Profile zur Erhöhung der Gewinnchancen zu verwenden. Teilnahmeberechtigt sind natürliche Personen, die Ihren Wohnsitz in Deutschland und das 18. Lebensjahr vollendet haben. Die Teilnahme ist nicht auf Kunden des Veranstalters beschränkt und nicht vom Erwerb einer Ware oder Dienstleistung abhängig. (a) bei Manipulationen im Zusammenhang mit Zugang zum oder Durchführung des Gewinnspiels, (b) bei Verstößen gegen diese Teilnahmebedingungen, (c) bei unlauterem Handeln oder (d) bei falschen oder irreführenden Angaben im Zusammenhang mit der Teilnahme an dem Gewinnspiel. Die Preise sind im jeweiligen Bereich des Gewinnspieles beschrieben. Die Ermittlung der Gewinner erfolgt nach Teilnahmeschluss im Rahmen einer auf dem Zufallsprinzip beruhenden Verlosung unter allen Teilnehmern bzw. Teilnehmern des jeweiligen Verlosungstages. Ist das Gewinnspiel mit einer Aufgabe verknüpft, kommen ausschließlich diejenigen Teilnehmer in die Verlosung, welche die Aufgabe korrekt durchgeführt haben. Meldet sich der Gewinner nach zweifacher Aufforderung innerhalb einer Frist von 3 Wochen nicht, kann der Gewinn auf einen anderen Teilnehmer übertragen werden. Eine Ausnahme stellt das für die Durchführung des Gewinnspiels verwendete System Klick-Tipp.com und der Service Zapier.com dar,, welche die Daten zum Zwecke der Durchführung des Gewinnspiels erheben, speichern und nutzen müssen. Eine weitere Ausnahme ist gegebenfalls die Weitergabe von personenbezogenen Daten an Preis-Sponsoren. Dieser Weitergabe muss der teilnahmer jedoch durch eine Double Opt In Mail bestätigen. Im Falle eines Gewinns, erklärt sich der Gewinner mit der Veröffentlichung seines Namens und Wohnorts in den vom Veranstalter genutzten Werbemedien einverstanden. Dies schließt die Bekanntgabe des Gewinners auf der Webseite des Betreibers und seinen Social Media Plattformen mit ein. Der Teilnehmer kann seine erklärte Einwilligung jederzeit widerrufen. Der Widerruf ist schriftlich an die im Impressumsbereich der Website angegebenen Kontaktdaten des Veranstalters zu richten. Nach Widerruf der Einwilligung werden die erhobenen und gespeicherten personenbezogenen Daten des Teilnehmers umgehend gelöscht. Fragen oder Beanstandungen im Zusammenhang mit dem Gewinnspiel sind an den Betreiber zu richten. Kontaktmöglichkeiten finden sich im Impressumsbereich der Website. Das Gewinnspiel des Betreibers unterliegt ausschließlich dem Recht der Bundesrepublik Deutschland. Der Rechtsweg ist ausgeschlossen. Viel Glück und Erfolg wünscht das Team von mushroom magazine und Hempedelic. 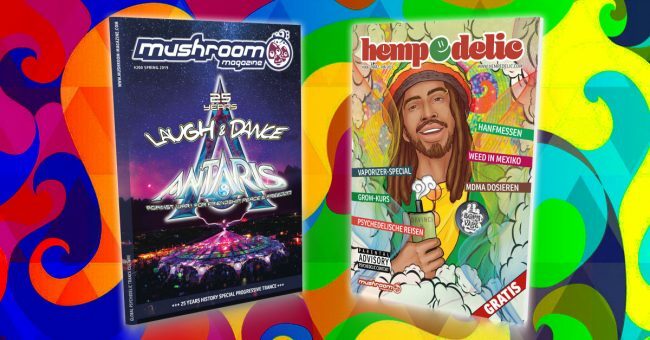 Participation in the mushroom magazine and Hempedelic competition, operated by FORMAT Promotion GmbH, hereinafter referred to as the operator or organiser, is free of charge and is governed exclusively by these conditions of participation. The duration of the raffle is described on the raffle page. During this period, users are given the opportunity to participate in the online competition. Prizes may change constantly within the specified period. If the duration of the competition period is not expressly stated, the organiser reserves the right to terminate the competition at any time. The prize draw can be divided into several individual prize draws whose prizes come from different sponsors. In order to participate in the competitions on this website, the participant must be logged in. 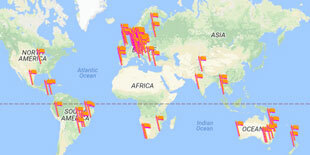 It may not be possible to participate without logging in. In order to take part in the competition, it is necessary to fill in and send the entry forms. Participation is only possible within the participation period. Entries received after the deadline will not be considered for the draw. Only one submitted registration per participant takes part in the respective lottery. It is strictly prohibited to use multiple email addresses or multiple Facebook profiles to increase the chances of winning. Participation in the competition is free of charge. Eligible to participate are natural persons who have completed their residence in Germany and are 18 years of age or older. Participation is not limited to customers of the organizer and does not depend on the purchase of goods or services. Should a participant be restricted in his legal capacity, the consent of his legal representative is required. (a) in the event of manipulation in connection with access to or performance of the competition, (b) in the event of breach of these conditions of participation, (c) in the event of unfair trading or (d) in the event of false or misleading statements in connection with participation in the competition. The prizes are described in the respective section of the competition. The winners will be determined after the closing date for entries within the framework of a random draw among all participants or participants of the respective day of the draw. If the lottery is linked to a task, only those participants who have correctly completed the task will be entered into the lottery. The winners of the raffle will be informed promptly about the prize via a separate email. The prize shall be handed over exclusively to the winner or to the legal representative of the minor winner. It is not possible to exchange, collect or pay the prize in cash. 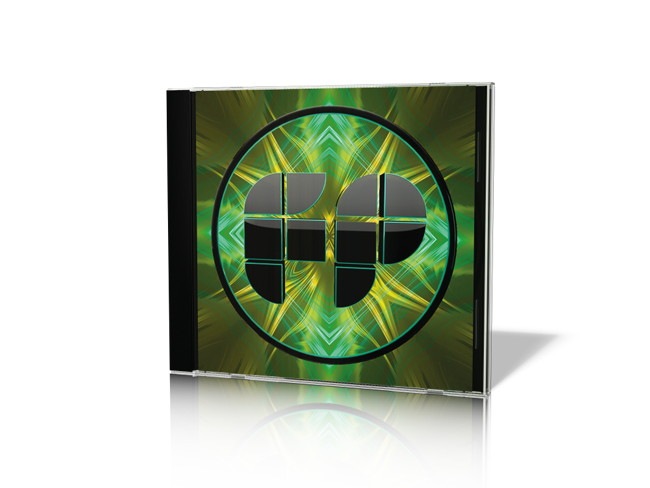 Any costs incurred for the shipment of the prizes will be borne by the operator. Additional costs associated with the use of the prize shall be borne by the winner. The winner himself is responsible for any taxation of the prize. If the winner does not respond within a period of 3 weeks after being requested to do so twice, the prize can be transferred to another participant. The organizer expressly reserves the right to terminate the competition without prior notice and without giving reasons. This applies in particular to any reasons that would disrupt or prevent the scheduled running of the competition. For the participation in the raffle the indication of personal data is necessary. The participant affirms that the personal details provided by him/her, in particular first name, surname and email address, are true and correct. The organiser points out that all personal data of the participant will neither be passed on to third parties nor made available to them for use without their consent. An exception is the system Klick-Tipp.com and the service Zapier.com, which are used for the execution of the lottery and which must collect, store and use the data for the purpose of the execution of the lottery. A further exception may be the disclosure of personal data to prize sponsors. This transfer must be confirmed by the participant by a Double Opt In Mail. In case of a win, the winner agrees to the publication of his name and place of residence in the advertising media used by the organizer. This includes the announcement of the winner on the operator’s website and social media platforms. The participant can revoke his declared consent at any time. The revocation is to be addressed in writing to the contact data of the organizer given in the imprint area of the website. After revocation of the consent the collected and stored personal data of the participant will be deleted immediately. This promotion is unrelated to Facebook and is not sponsored, supported or organized by Facebook in any way. Questions or complaints in connection with the lottery must be addressed to the operator. Contact possibilities can be found in the imprint section of the website. The lottery of the operator is subject exclusively to the law of the Federal Republic of Germany. Legal recourse is excluded. Should any provision of these conditions of participation be or become invalid in whole or in part, this shall not affect the validity of the remaining provisions. The invalid provision shall be replaced by the legally permissible provision which comes as close as possible to the economic meaning and purpose expressed in the invalid provision. The same shall apply mutatis mutandis in the event of a loophole in these Conditions of Participation. The team of mushroom magazine and Hempedelic wishes you good luck and success.